Enjoy comfort, freedom, and the best sound around with JBL® Everest™ 700. Bluetooth 4.1 enables wireless connectivity, legendary JBL Pro Audio Sound provides a dynamic listening experience, and sculpted ear cushions allow for unprecedented fit, and comfort around your ears. JBL Synchros Reflect. Bluetooth enabled wireless connectivity. JBL DUET MINI 2 Wireless Blue. Wireless Bluetooth • Pure Bass Sound • Hands-Free Calls Voice Assistant • Soft Carrying Pouch. Model: T280BT. ●JBL Pure Bass With magnetic suction function, and when do not use headphone, you can easily wear the headphone on the neck, do not fall. Built-in microphone enables hands-free calls to set free your hands when doing sports. They’re flat-folding lightweight comfortable and compact. Bluetooth 4.0Listen to music wirelessly from any Bluetooth-enabled device.What's in the Box:T450 Wireless On-Ear HeadphonesCharging cableWarning cardWarranty cardSafety sheetQuick start guideSpecificationsDynamic driver: 32mmFrequency response: 20Hz - 20kHzBattery life: 11 hours. ENDURANCE PEAK. Charging Cable. Charging Case. What's included in this sale?. Introducing JBL T450 on-ear headphones. Under the hood, A pair of 32mm drivers punch out seriously powerful bass, reproducing the JBL pure bass sound you’ve experienced in concert Halls, arenas and recording studios around the world. Under Armour JBL Sport Wireless Neckband Flex Headphones Black. Flex zones adjust to find the perfect fit no matter the activity. Part # Under Armour Wireless Flex (34273). Cell Phones. Product derails. The Active Noise-Cancelling technology allows you to indulge in your music, nothing but music, both in wired and wireless modes. Multi-tasking is made easy as the JBL DUETNC headphones will seamlessly switch between two devices ensuring that you never miss a call while enjoying your favorite playlist or watching a movie. NEW JBL T110BT (TUNE110BT) WIRELESS IN-EAR HEADPHONES. ITEM # T110BT, TUNE110BT. - JBL PURE BASS SOUND. KEY FEATURES - MAGNETIC CABLE. COLOR: BLACK. - 6H BATTERY LIFE. NOT REFURBISHED! JBL Duet Bluetooth Wireless On-Ear Headphones. JBL Signature Sound. w/ One-button universal remote with mic. look of the headphones. Leather ear pads and aluminum touches. 2.5mm to 3.5mm cable not included. 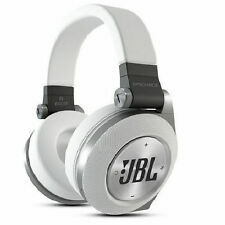 JBL Synchros White On-Ear Bluetooth Headphones new in box. Headphones are clean and in good condition. Lightly used, in good working condition.Whats Included. Up for sale is one JBL Synchros E30 Performance On-ear Headphones With Universal Mic Black. Item is an open box unit in perfect conditions. YOU WILL BE GETTING THE SPEAKER AND POWER ADAPTER. - Power Adapter. Product derails. Warranty Full Manufacturer. 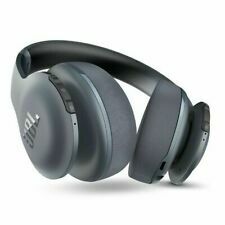 JBL T450BT Wireless Bluetooth Headphones Black. Shipped with first class mail USPS. Is in great some boxes are damaged some are in great condition. They are open box and working with great sound. Earphones & Headphones. Grado iGrado On-ear Neckband Headphones. JBL J22i High Performance Headphones. JBL C100SI Premium In-ear Headphone. Ear Cushions & Pads. Fully android phones Compatible! Also compatible with any other music devices with a standard 3.5mm jack. JBL by Harman E55BT Bluetooth Wireless Over-Ear Headphones. JBL E55BT HEADPHONES. We promise to work with you to make things right, just give us the chance to do so. Fair enough?. We really appreciate you considering us as your supplier. JBL Harman Yurbuds Inspire 100 In-Ear. Ergonomically designed to avoid nerve rich areas of the ear; Made with flexible silicone, yurbuds are ultra-soft and comfortable for hours on end. Sport Headphones Headsets - Black / Red. Earphones & Headphones. Grado iGrado On-ear Neckband Headphones. JBL T290 High Performance In-ear Headphones. JBL C100SI Premium In-ear Headphone. Ear Cushions & Pads. Fully iOS (Apple devices) Compatible! Color: Black. New item, but the box will be distressed. NEW SEALED! JBL Tune110 BT Wireless In-Ear Headphones. For over 70 years, JBL has engineered the precise, impressive sound found in big venues around the world. JBL Pure Bass Sound. Ensures that the headphones remain comfortably secure and tangle-free around your neck when not in use. Bluetooth Wireless Technology. 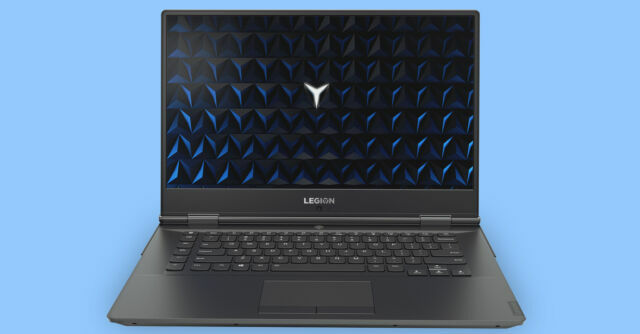 Up to 8 Hours of Wireless Playback. 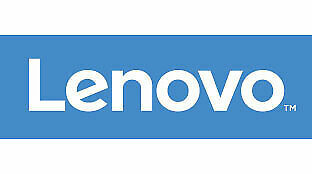 All our electrical / electronic products work only on 110 Volts. Local Pickup. Truly Wireless: Discover the freedom of a wireless lifestyle listening to music, managing your calls or working out. Comfort Stay Secure Fit: Best in calss ergonomics with 3 ear tip sizes and 2 gel sleeve sizes ensure a secure fit that stays with you, no matter what you are doing. Enjoy comfort, freedom, and the best sound around with JBL EVEREST 700. Bluetooth 4.1 enables wireless connectivity, legendary JBL Pro Audio Sound provides a dynamic listening experience, and sculpted ear cushions allow for unprecedented fit, and comfort around your ears. Trending at $59.99eBay determines this price through a machine learned model of the product's sale prices within the last 90 days. NEW JBL E45BT On-Ear Wireless Bluetooth Headphones. Opened only to verify contents and take pictures. JBL T450BT Wireless On-Ear Headphones Bluetooth Remote Microphone Black. Condition is Used. Headphones sound great and look amazing. Shipped with USPS First Class Package. Great price! Does not have factory warranty. Trending at $29.99eBay determines this price through a machine learned model of the product's sale prices within the last 90 days. 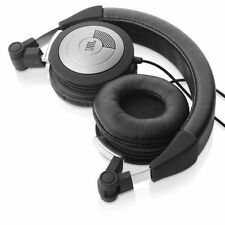 JBL Duet NC Bluetooth Wireless Over-Ear Headphones - Black (Pre-Owned). JBL Duet Bluetooth Wireless On-Ear Headphones. The world-renowned JBL Signature Sound sounds flawless through the tangle-free fabric cord integrated into this premium device. A plastic box is included. The earbuds look a bit different from boxed J22A, but the sound quality is identical to the original JBL. To further enhance the JBL audio experience, the Idol 3 will be bundled with the JBL J22a headphones. JBL Tully Wireless Headphones. JBL Signature Sound. Truly wireless. Truly Wireless. Discover the freedom of a wireless lifestyle listening to music managing your calls or working out. Best-in-class ergonomics with 3 ear tip sizes and 2 gel sleeve sizes ensure a secure fit that stays with you no matter what you are doing. 1 pair of T110BT headphones. JBL Pure Bass Sound Yes. Headphone cable length (ft) 2.65. Headphone cable length (cm) 80.8. Bluetooth version 4.0. Bluetooth profiles HFP v1.5, HSP v1.2, A2DP v1.2, AVRCP v1.5. Whether you need clarion harmonics and thumping bass for work or play, JBL offers an enormous assortment of headphones suited to your specifications. Here are a few key questions and answers to help you narrow down your JBL headphone choices when looking through this vast eBay collection. What earpiece types and fit designs does JBL offer? For JBL earpiece types, choose between traditional earbuds, canal earbuds, ear-cup, and ear-pad. Available fit designs include headband (on ear), neckband, ear-hook, and in-ear only. Types and fits overlap on many models, offering the option of even more customization, such as in-ear earbuds (canal) and wireless earbuds for daily use in hands-free applications. How do you activate Bluetooth on JBL headphones? It depends on the type of headphones. Most Bluetooth JBL headphones only require you to turn the headphones on to activate Bluetooth receptivity. Other headphones require you to press a particular button after turning the headphones on. Consult your manufacturer's instructions to confirm. In many cases the item you're trying to pair the headphones with, such as a phone or other mobile device, will more than likely already have built-in Bluetooth support. Turn on the device and your wireless JBL headphones, and wait for your device to recognize or pair up with your headphones. If you're trying to pair your JBL wireless headphones with a device that is not Bluetooth enabled, consider a Bluetooth transmitter. What are the extent of playback controls and other features? 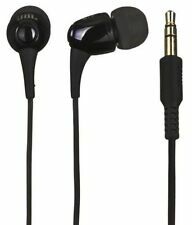 Are there JBL headphones for specific uses? Absolutely. JBL produces headphones for DJ activities, broadcasting, home use, and mobile devices. Generally, the high quality of JBL headphones means each type lends itself to an array of uses beyond its intended design. However, some designs, such as sports headphones, have fitted neckbands or headbands for enhanced stability during activity. By contrast, computer headphones tend to fit over your ears, have pads, noise cancellation, and meaty sound reproduction for gaming and media. Content provided for informational purposes only. eBay is not affiliated with or endorsed by JBL.